Get ready to celebrate your favourite fandoms. The Calgary Comic & Entertainment Expo returns for 2019 with four days of celebrity guests, creators, cosplay stars, exhibitors, and so much more. Browse hundreds of vendor booths and exhibits, attend workshops and panels featuring iconic stars and artists, grab new art from world-class creators, and meet your favourite heroes for a photo or an autograph. This year’s media guest include Lynda Carter, Michael J Fox, David Harbour, and more. What started as a small gathering in 2006 has grown to become one of the biggest events of its kind in North America with over 95,000 fans attending last year. All ages are welcome, and everyone is free to cosplay as their favourite character or come as themselves. You can even hit up the POW! Parade of Wonders! 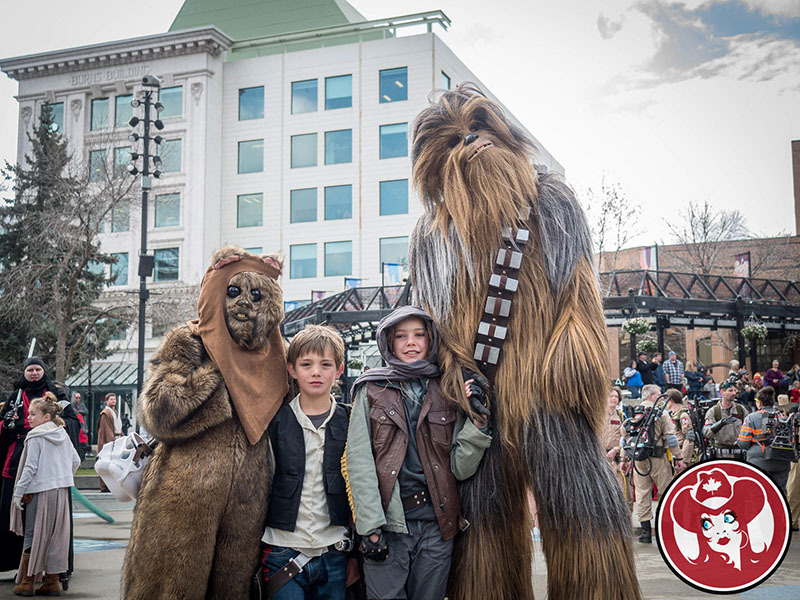 The Calgary Comic & Entertainment Expo runs April 25 to 28, 2019 at Stampede Park (1410 Olympic Way SE). Enter before noon on Thursday, April 18, 2019 for your chance to win a pair of four-day passes. Thank you for your interest, this contest is now closed and the winner has been notified. Thank you to all our contest partners. Contests are open to Calgary-area residents only. Only one entry per person may be submitted for each contest. Other conditions may apply. Check back often for more giveaways or sign up for our weekly newsletter and follow us on Twitter for more chances to win. To run a contest with us, please email contests@calgaryartsdevelopment.com.